There will be fireworks when Sheffield Wednesday and Sheffield United face each other in the Steel City derby at Hillsborough Stadium. The Owls kicked off the new Championship campaign with a 1-0 loss to Preston, but they are undefeated in previous seven league fixtures. Sheffield Wednesday are determined to return to the Premier League and we predict that they are going to leave their hearts on the field in Sunday’s football match against their bitter local rivals. 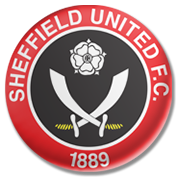 The Blades, on the other hand, aim to make amends for a 1-0 loss to Norwich City and, no doubt, the visitors would be happy with one point from the local derby. Both sides are likely to adopt a cautious approach in Sunday’s showdown and we would not be surprised if they share the spoils in the Steel City derby. In their last meeting in the English second tier the two teams played out a 1-1 draw.